The Spring action is here, folks! This means the return of the bait schools on the reef and plenty of species to feed upon them. 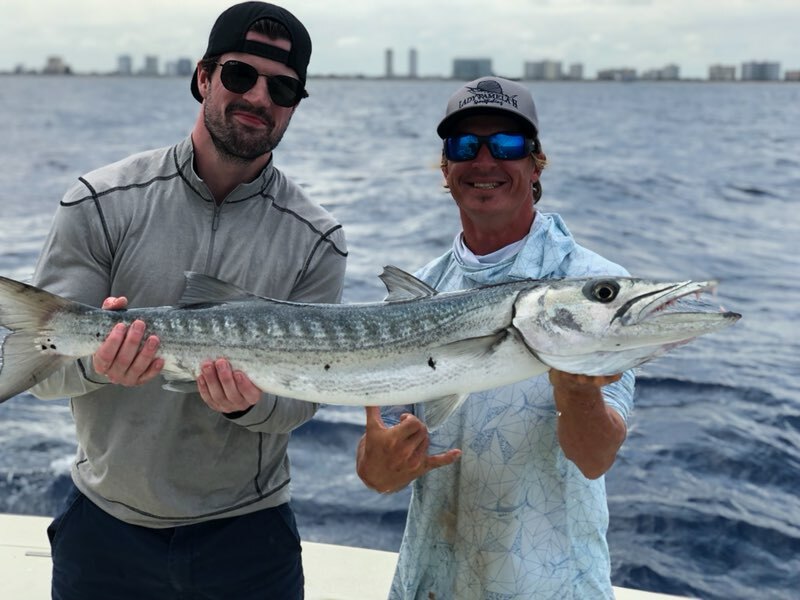 We expect the sailfish bite to continue to be solid as we have had a nice north current the past few days. The action on the reefs and bottom fishing is red-hot! 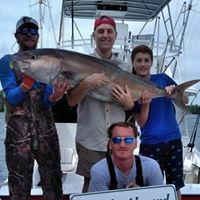 NOW is the time to book your saltwater fishing adventure with Fantastic Fishing! 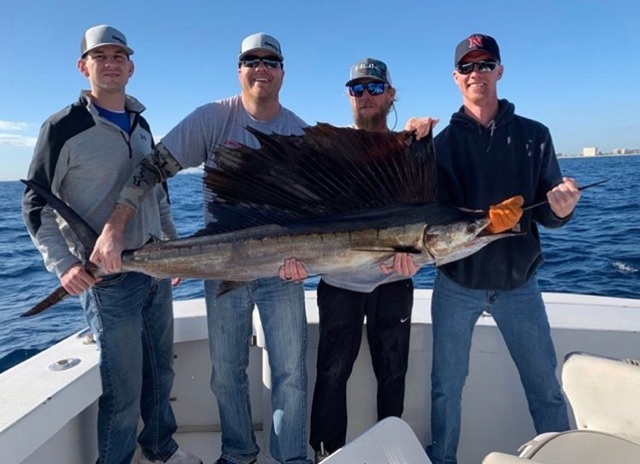 The Sailfish continue to stay in the area and the roving pods of Sails are feasting on nearly every bait that we throw at them! 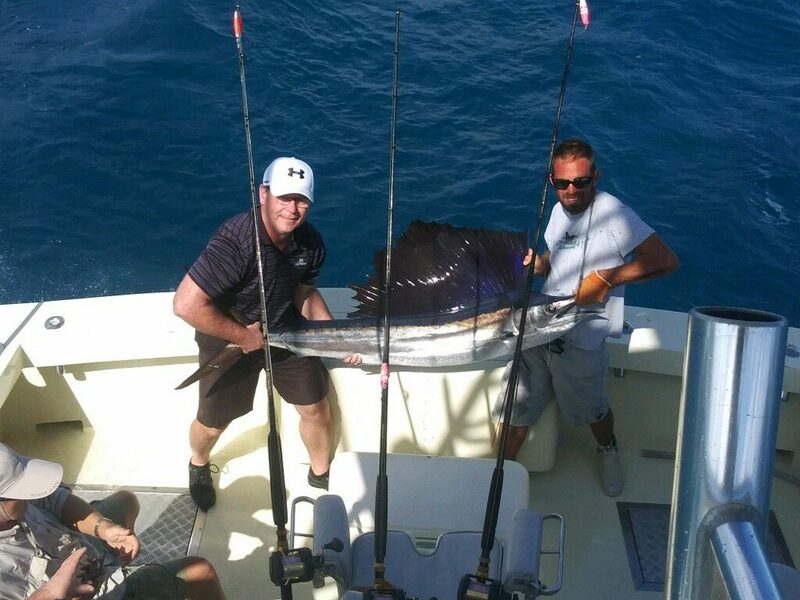 Our clients have been catching and releasing large numbers of Sailfish as we fish live baits underneath our fishing kites or on the troll. Kite-fishing is our specialty at Fantastic Fishing. 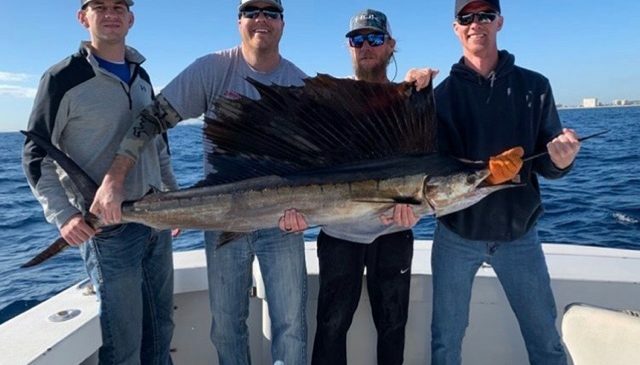 Nothing gets the blood pumping like watching a double- or triple-header Sailfish bite up on the surface.We can fish up to three (3) live baits per kite, with at least two (2) kites up at any one time. We’re fishing between 80 and 200 feet of water. 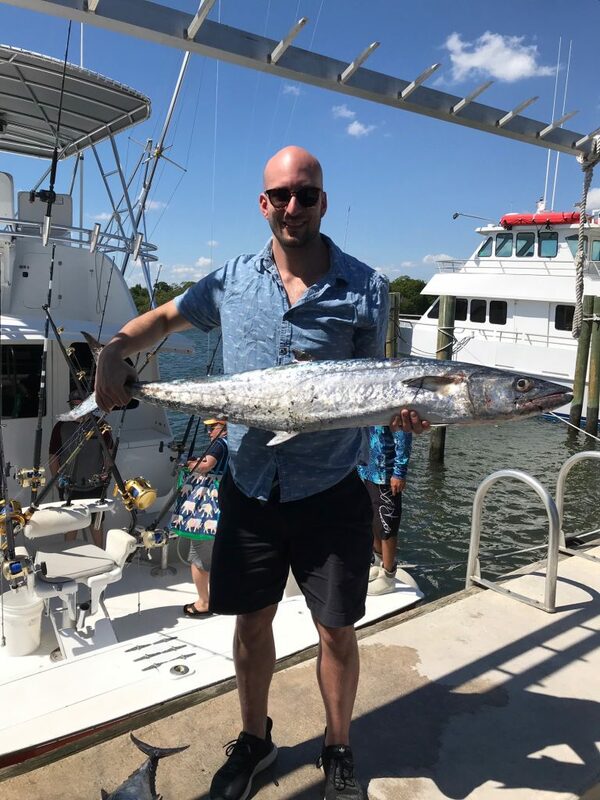 King Mackerel (‘Kingfish”) have also set up shop on and near the reefs to pounce on our unwary kite baits and trolled baits and they have only gotten thicker – and hungrier. 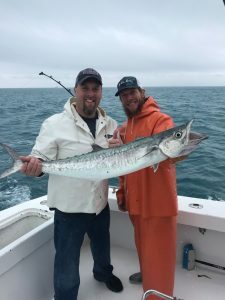 Kingfish have teeth that are more like surgical scalpels and they fight hard, which is why we call them “smokers” – they will smoke your drag on scorching runs once they’re hooked. When they’re not crushing our live baits under the kite or slow-trolled, Kingfish have also been responding to our strip baits trolled below the surface on planers along with as Islanders with ballyhoo in both the blue/white and red/black color combinations. 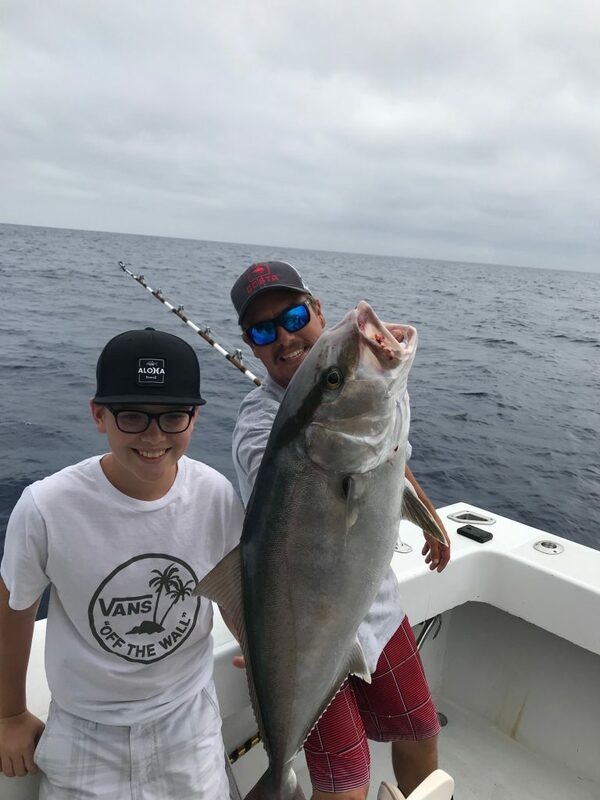 We’ve been finding the Kingfish in between 70 and 150 feet of water. Wahoos have also shown up to crush our kite baits and our Kingfish baits trolled behind planers. 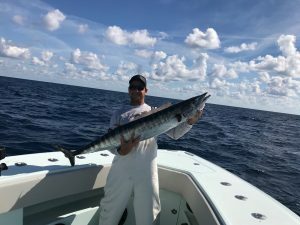 The only thing better than the screaming drags and intense fights with Wahoo are how Wahoo taste on your dinner table! 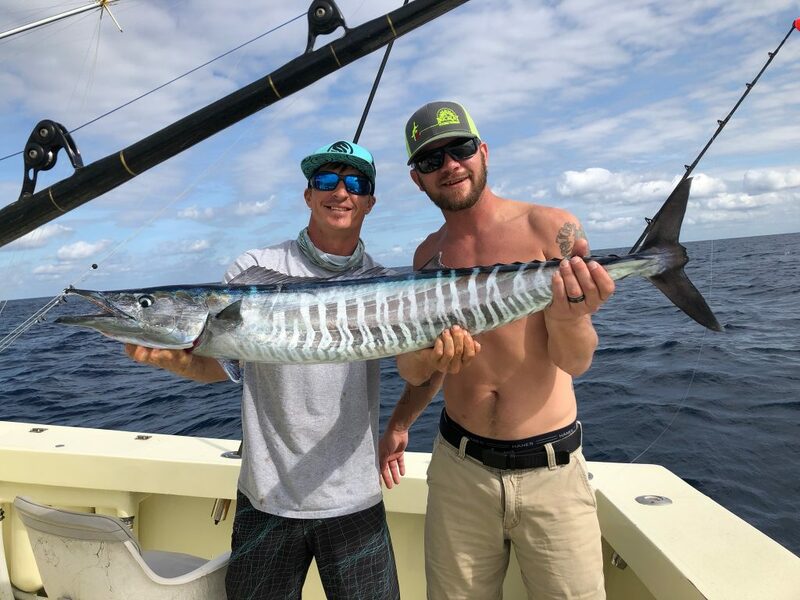 While we’re on the reef targeting Sailfish, Kingfish and other species, another toothy monster has a knack for blowing up our kite baits and trolled baits: Barracuda! These fearsome-looking critters are tough, acrobatic fighters that refuse to be ignored. Barracuda also make amazing replica mounts. With the recent full moon, the bottom fishing has been exceptional. 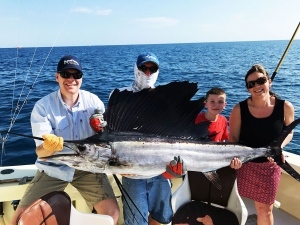 We’ve been keeping our clients busy catching fish and sending them home with tasty dinner fare. 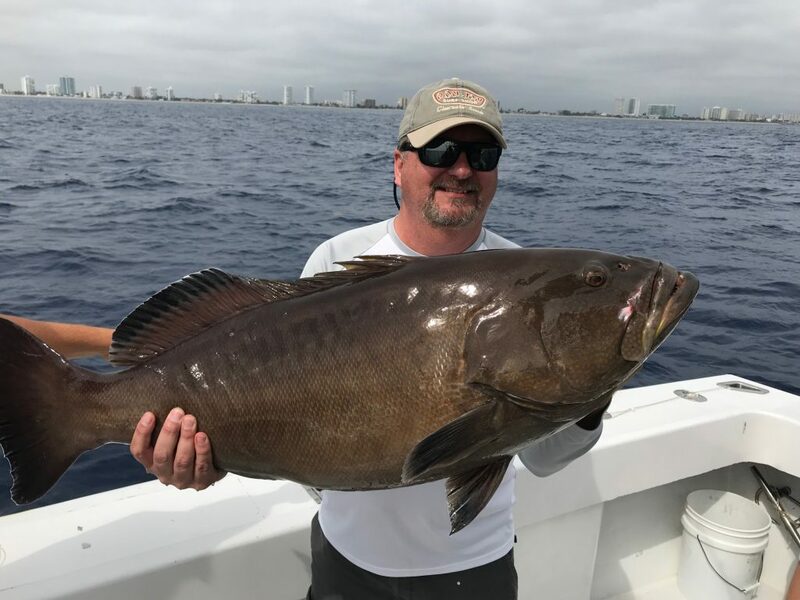 Get a look at this huge Black Grouper! 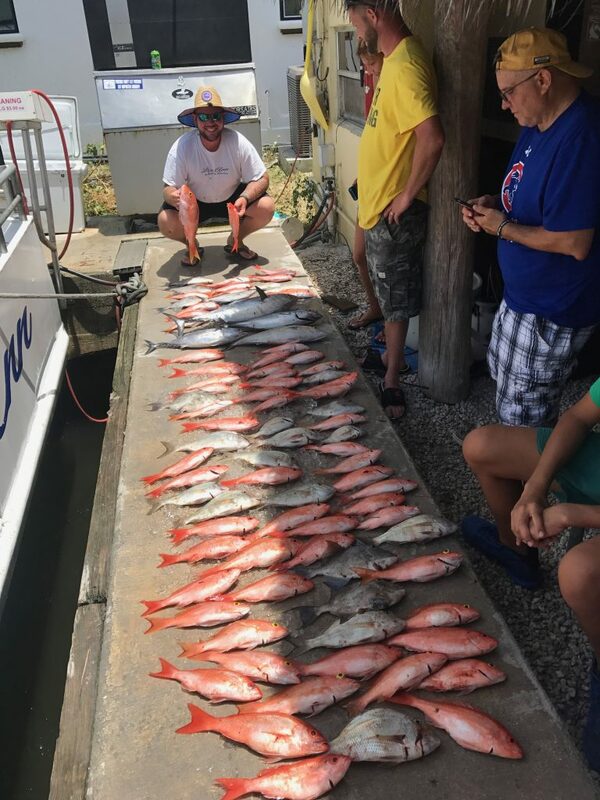 Snappers or multiple varieties are also on the bite and stuffing our fish boxes. When we visit our “honey hole” wrecks, our anglers have been “greeted: by slugger Amberjacks like the one below. Our April trips are filling up fast as families visit us for Spring Break and May dates are getting scooped up. Give us a call to book your FANTASTIC trip now!